Church Stile Farm & Holiday Park respect your right to privacy and comply with obligations under the Data Protection Acts 1988 & 2002 and the EU General Data Protection Regulation 2018 (GDPR). Church Stile Farm & Holiday Park is the Data Controller for all the personal data that you submit. This is data that identifies you or can be used to identify or contact you, which includes your name, address, email address and telephone no. Such information is only collected from you if you voluntarily submit it to us. to contact you with regard to any matter arising from your stay or booking. to keep you informed of any changes to your booking. The data that we collect in connection with our services is stored locally on our booking system. Data collected through our website and emails is also stored on our secure web server, which is located in a UK Data Centre with 24/7 onsite security. We use Camp Manager our online payment processing partner who use the most secure up to date encrypted SSL (secure socket layer) when transferring transaction details of your online booking. This means that no information submitted during this process can be examined, used or modified by any unauthorised third parties. 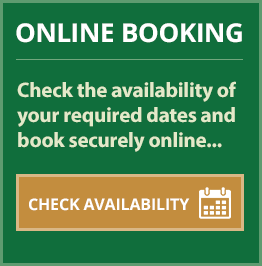 You can make a request for access by contacting us at ‘Church Stile Farm & Holiday Park, Nether Wasdale, Cumbria, CA20 1ET'. Please make all requests for access in writing and provide us with evidence of your identity.